A new fund has been launched in memory of local businessman Roger Harris CBE to help raise more than £250,000 for research into brain tumours. Roger, who was an accountant for KPMG and former president of Plymouth Albion RFC, died in 2017, leaving behind a legacy impacting business forums across Devon and Cornwall. 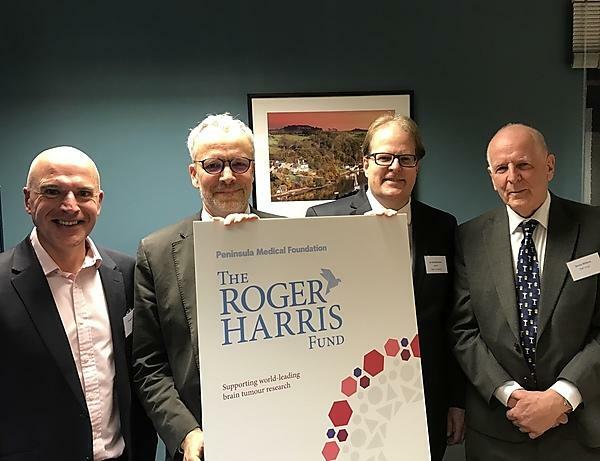 Now the Roger Harris Fund will support the leading work at the University of Plymouth’s Brain Tumour Research Centre of Excellence to help research further into the condition. The University centre is one of only four Centres of Excellence in the UK and specialises in low-grade brain tumours. These brain tumours grow slowly and the research team is getting closer to understanding why some of them become cancerous. Just one day of research costs £2,740 – and the Roger Harris Fund is aiming to raise 100 days’ worth, £274,000. The fund, which is supported by Peninsula Medical Foundation, was announced on Wednesday 20 March during Brain Tumour Awareness month, at an event welcoming business leaders from across the South West.